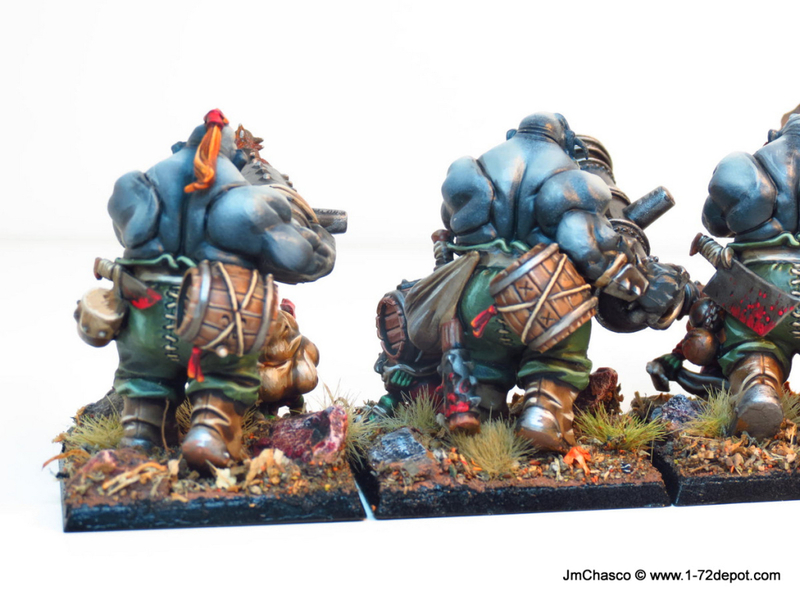 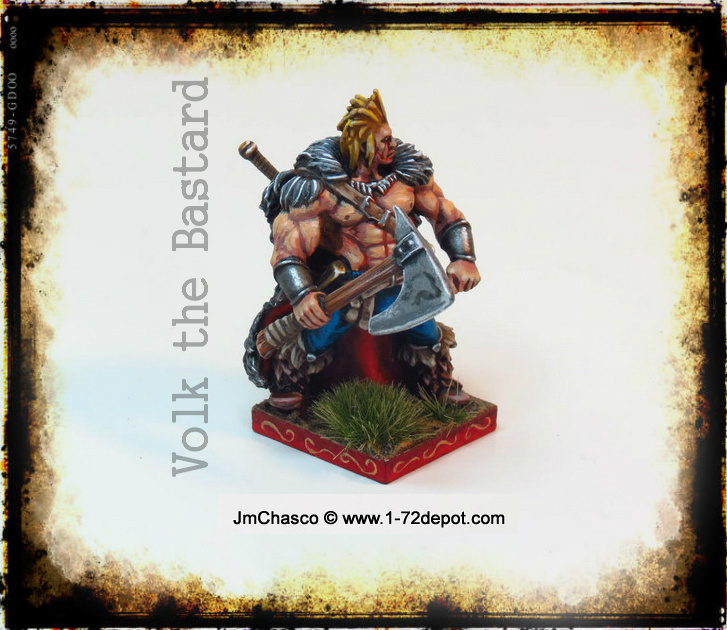 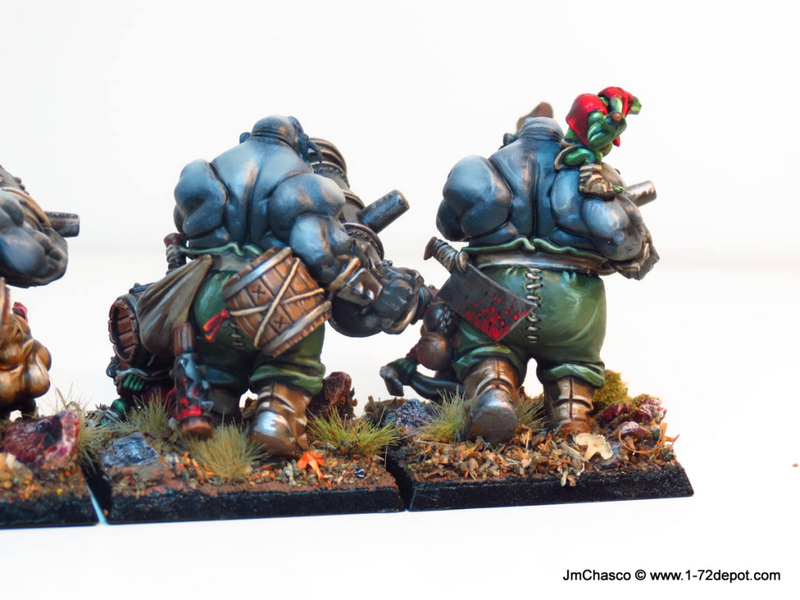 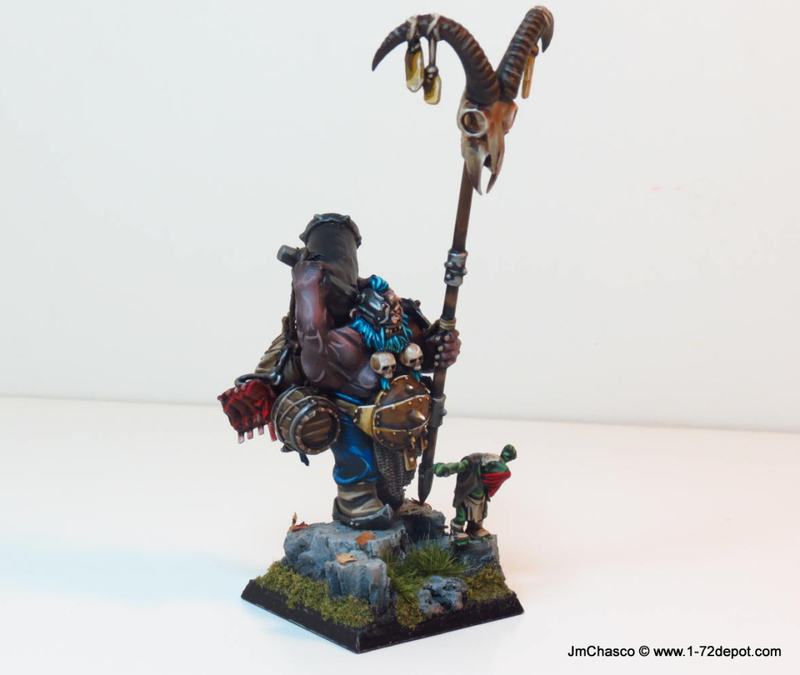 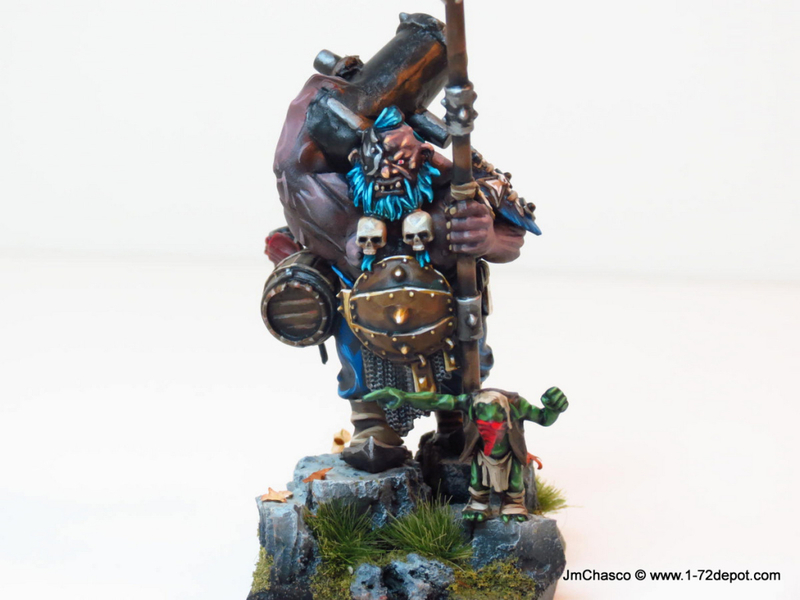 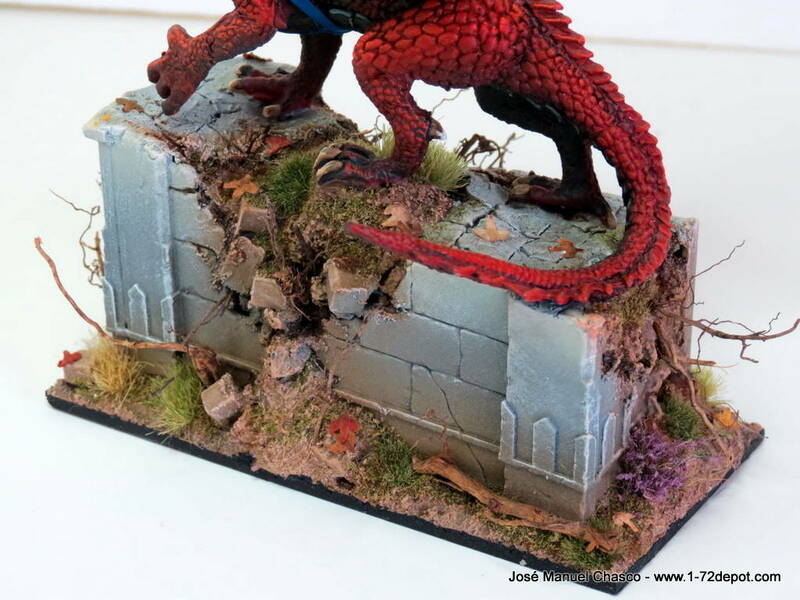 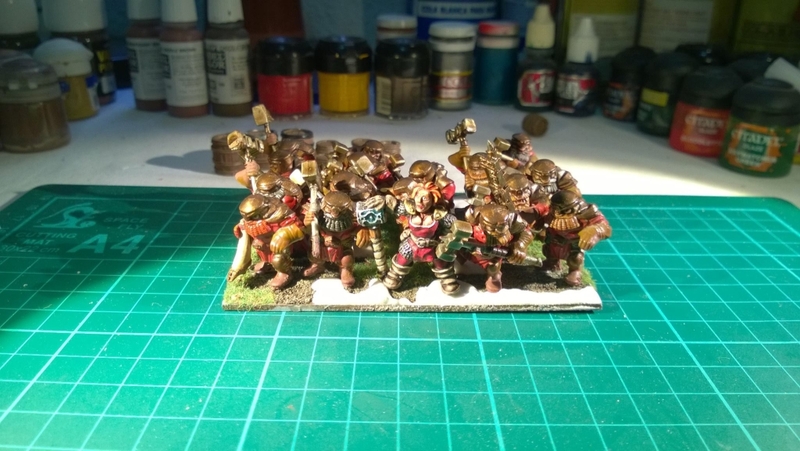 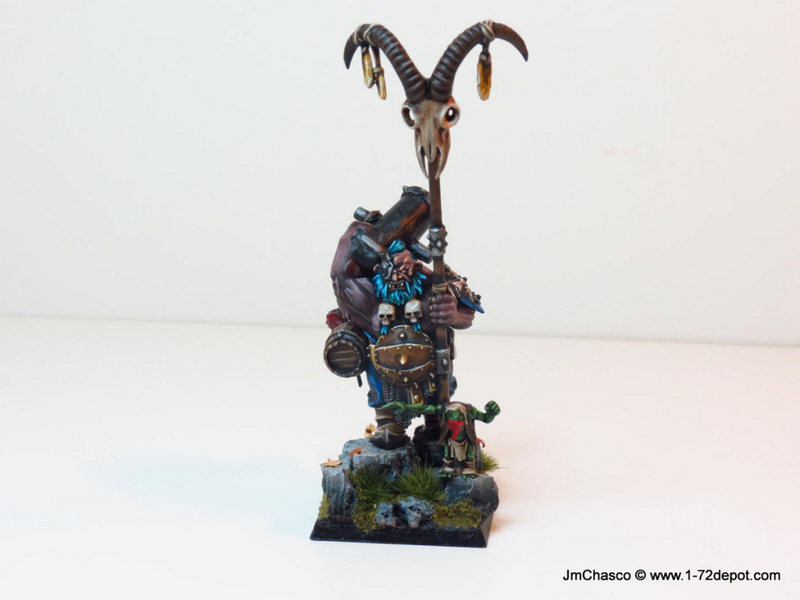 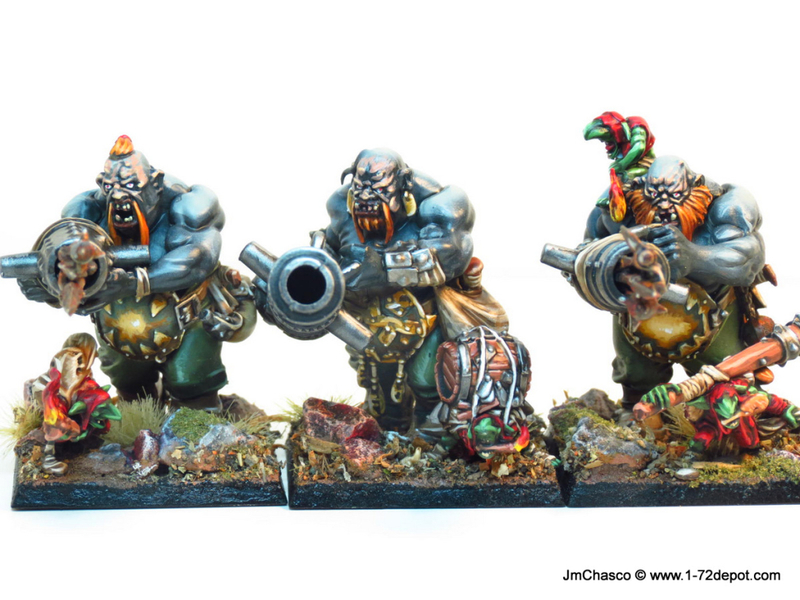 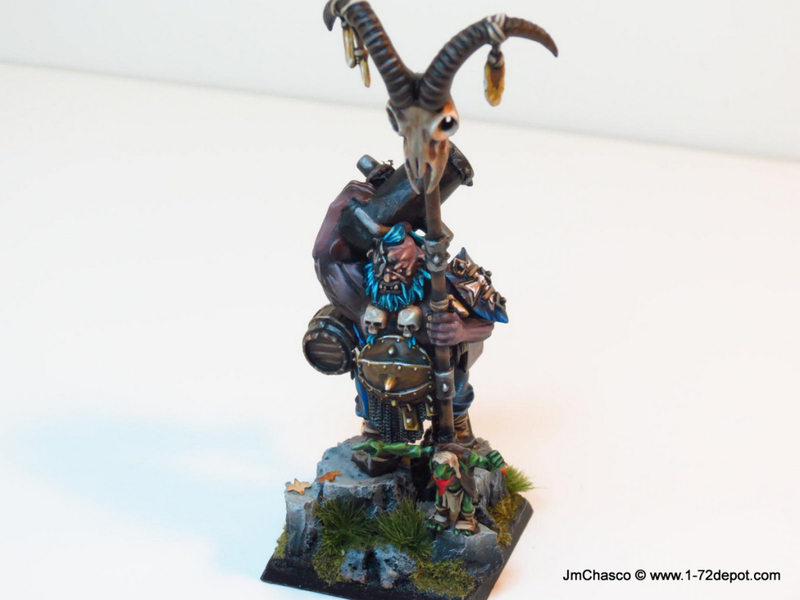 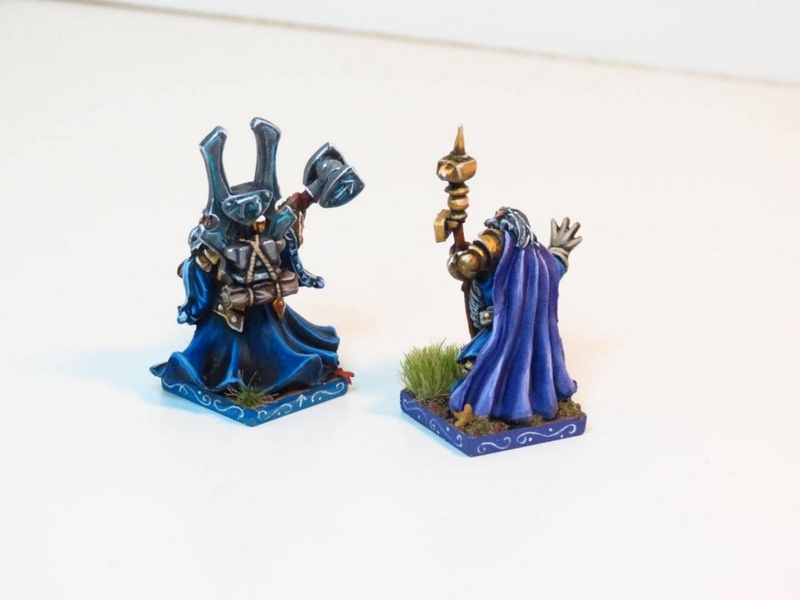 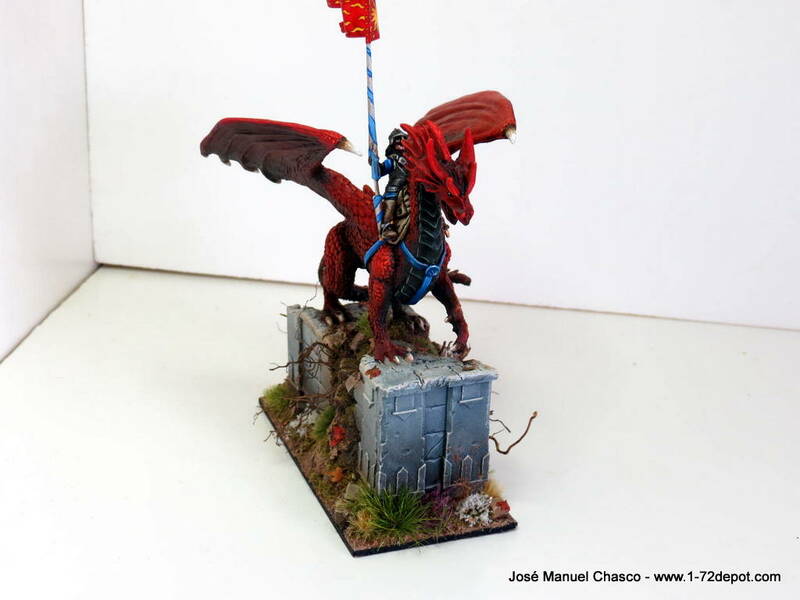 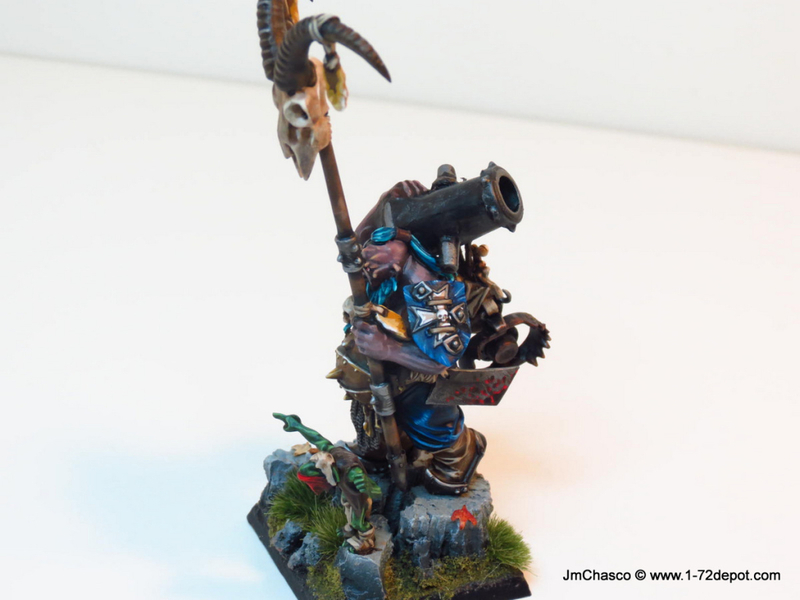 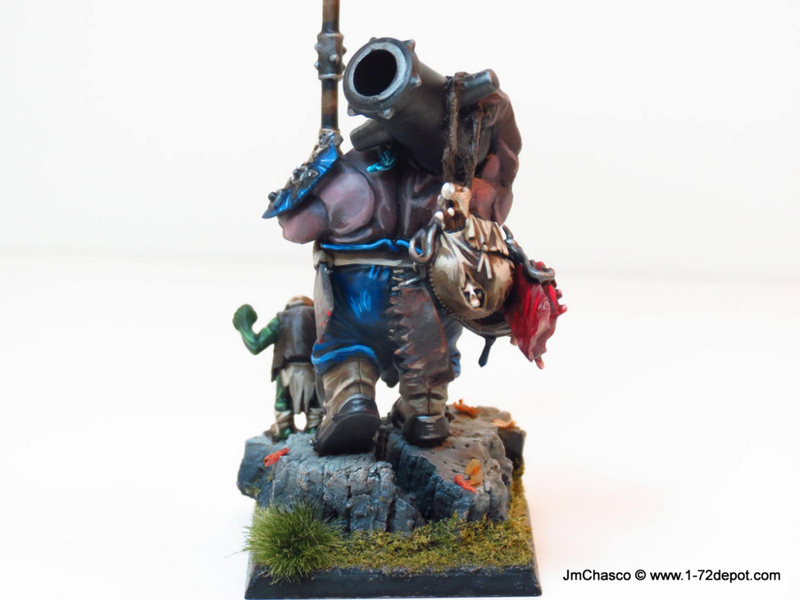 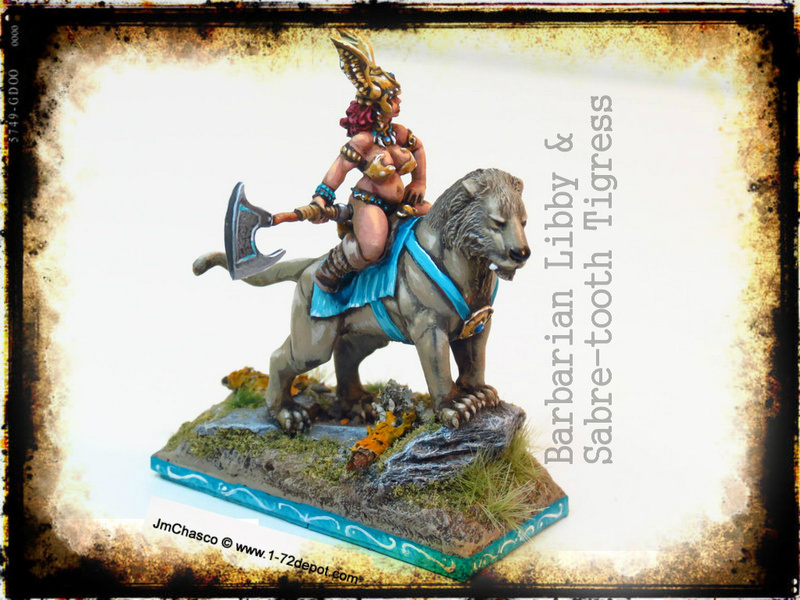 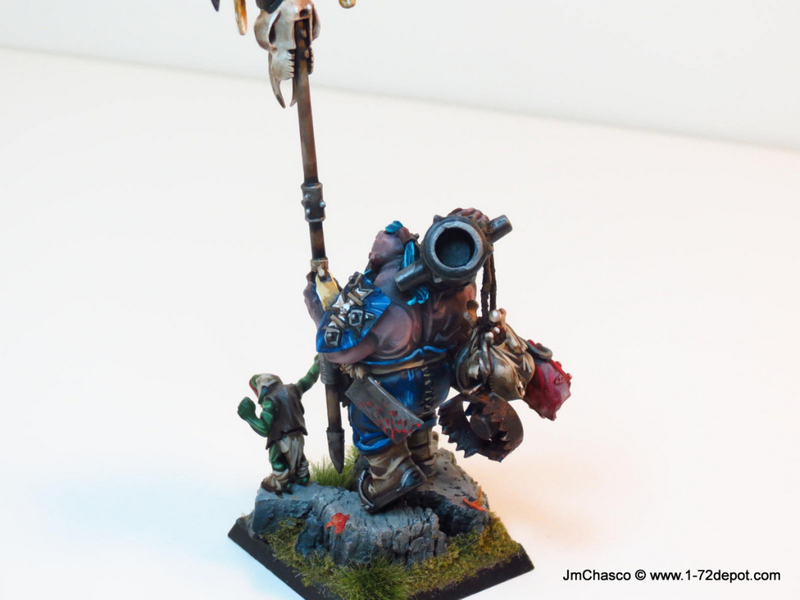 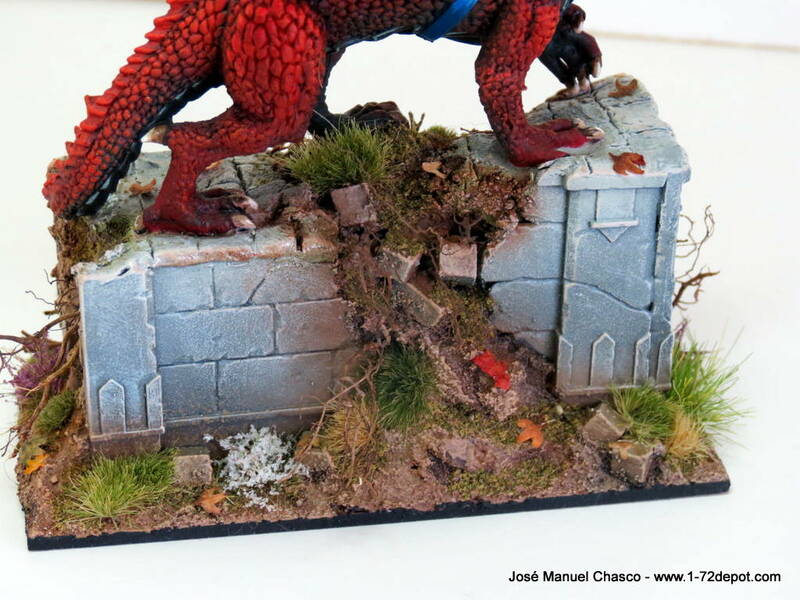 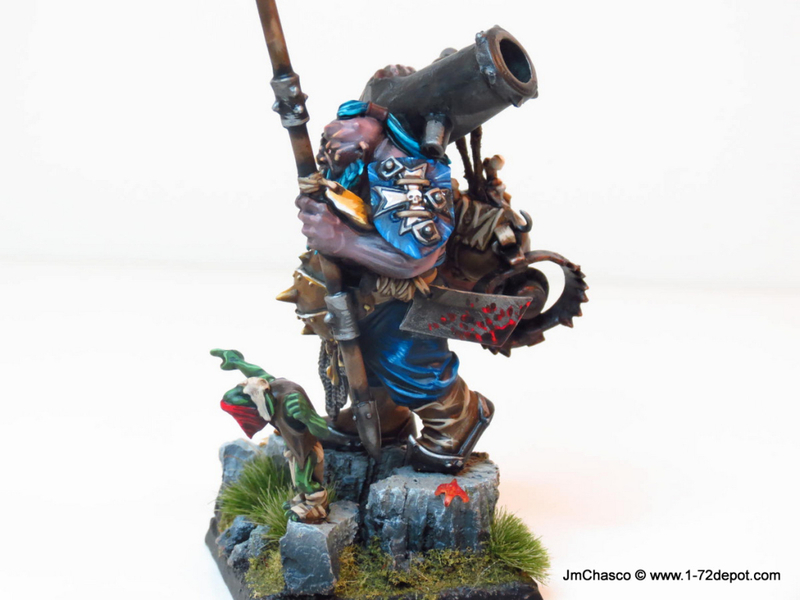 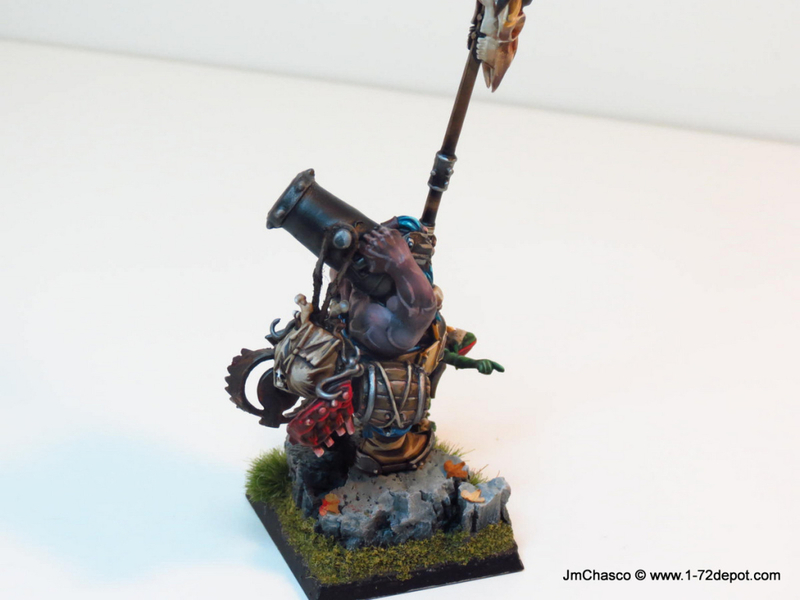 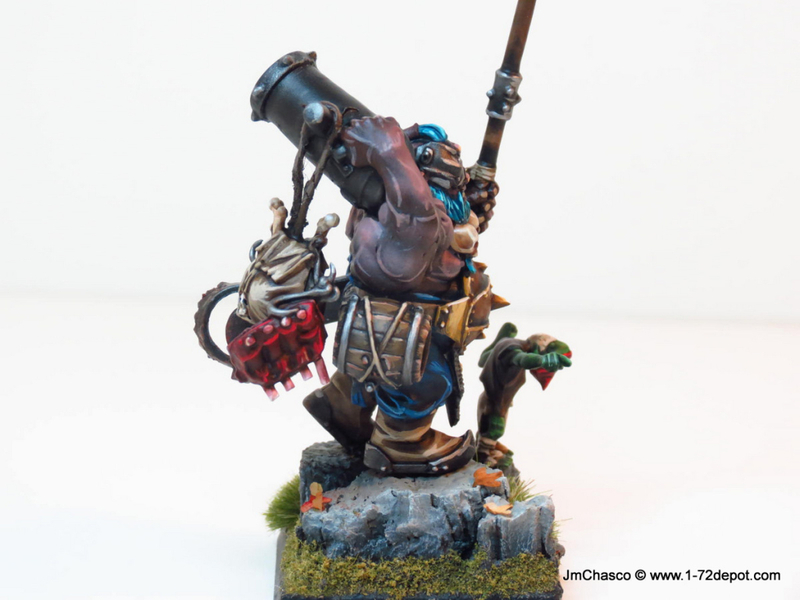 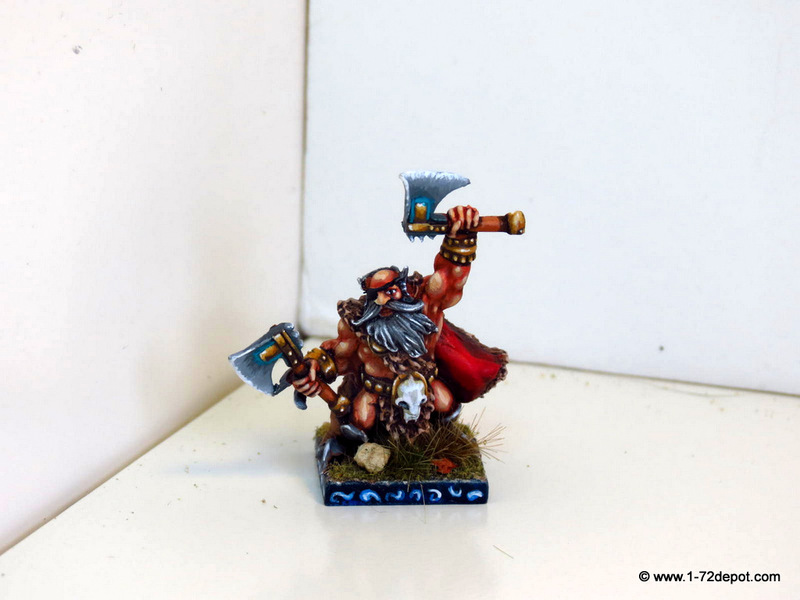 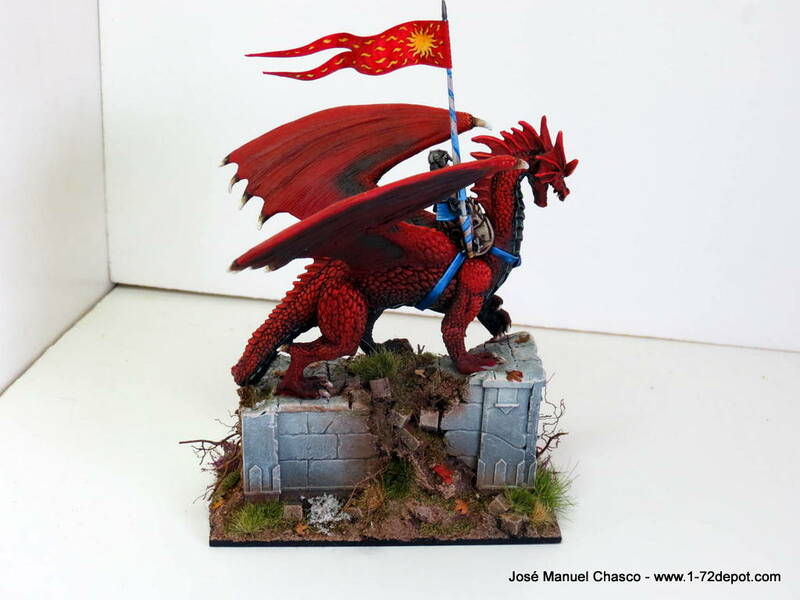 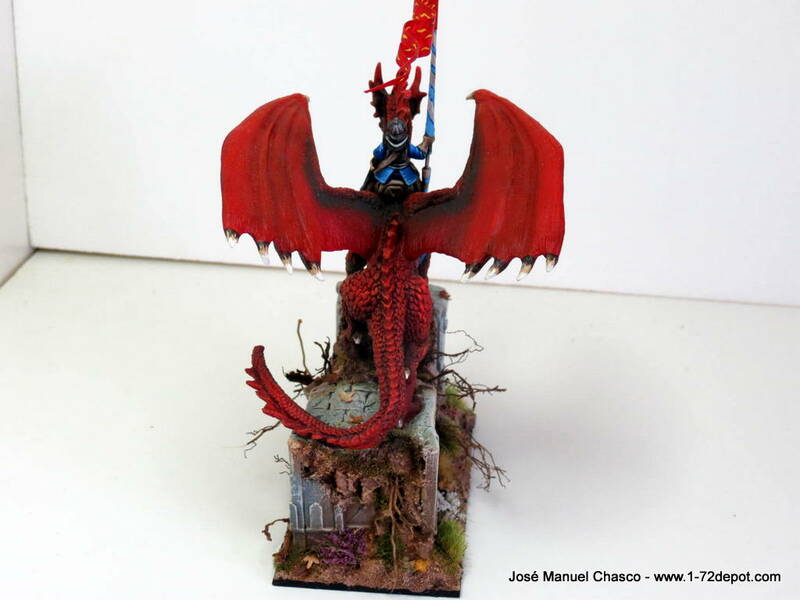 I finished this single piece to ends the content of the Ogres Leadbelchers box, which contains 4 figures. 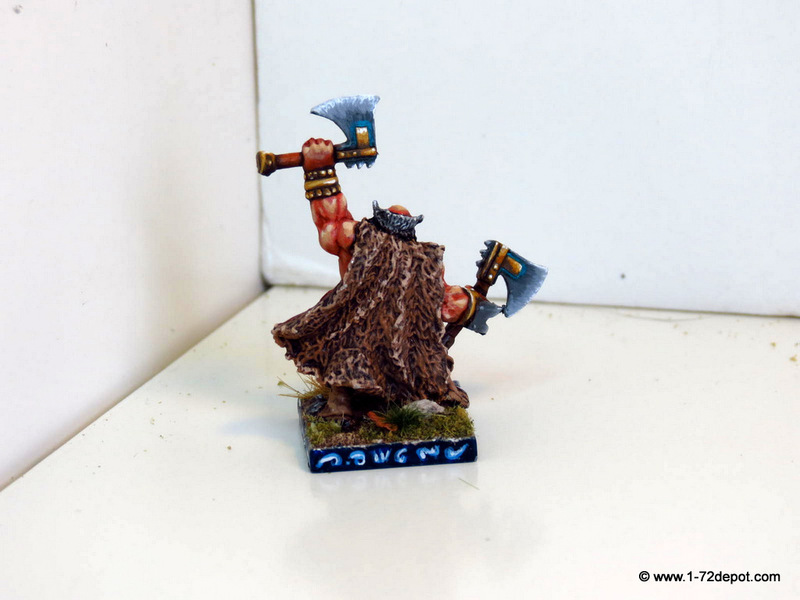 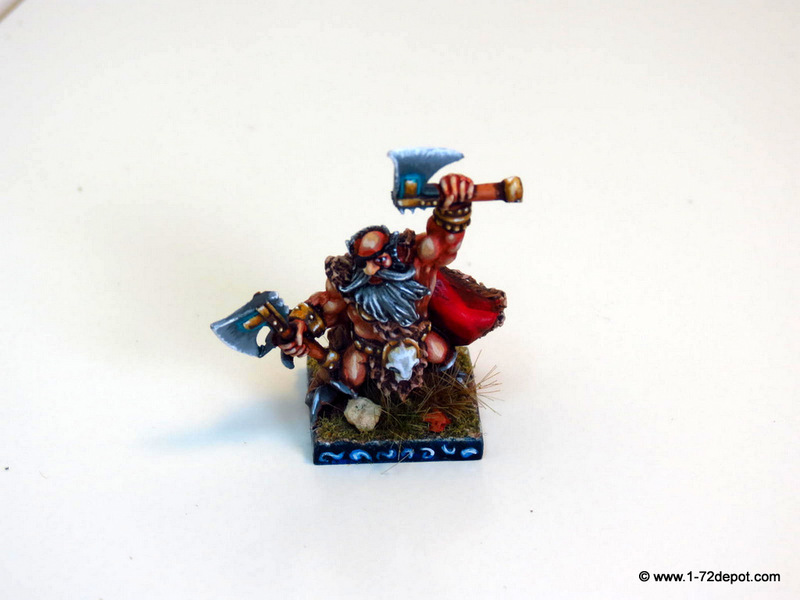 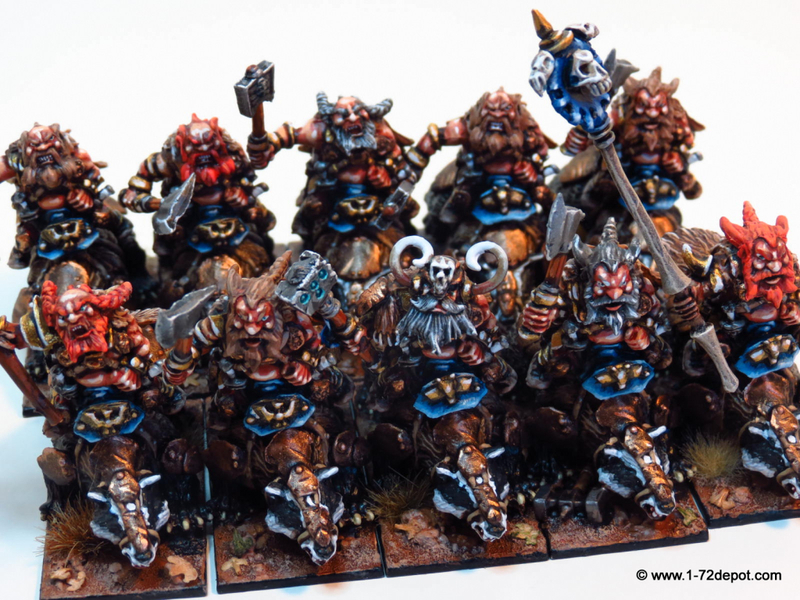 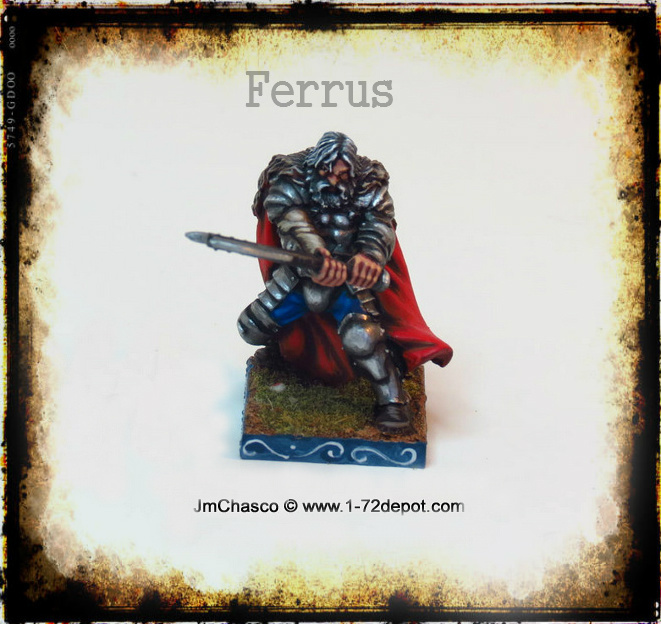 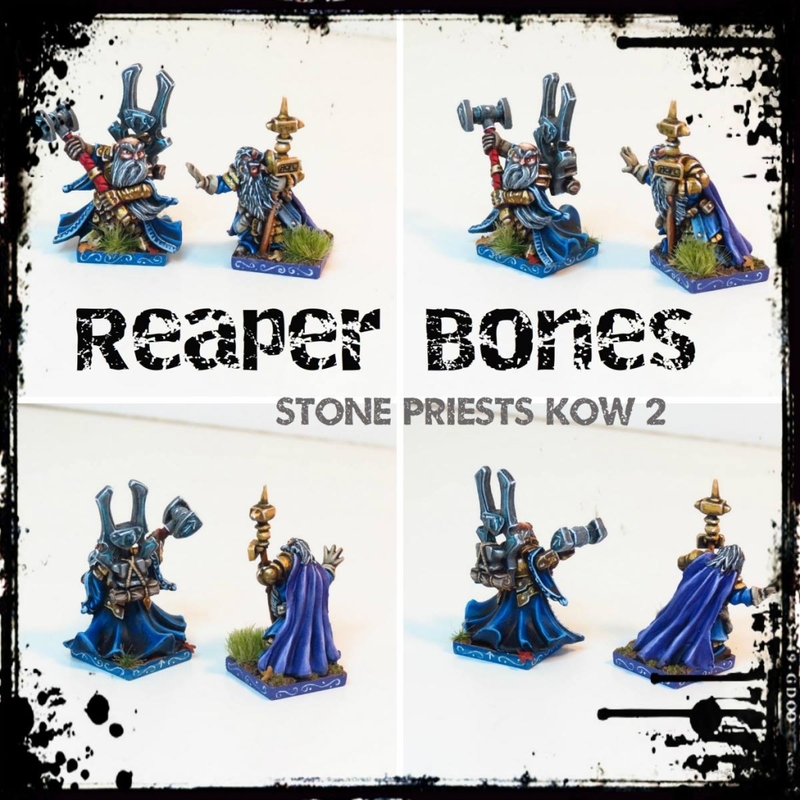 In KoW 4 is a bad number for Ogres, you can rank 3 or 6.. so the remaining figure should be something different to a Boomer. 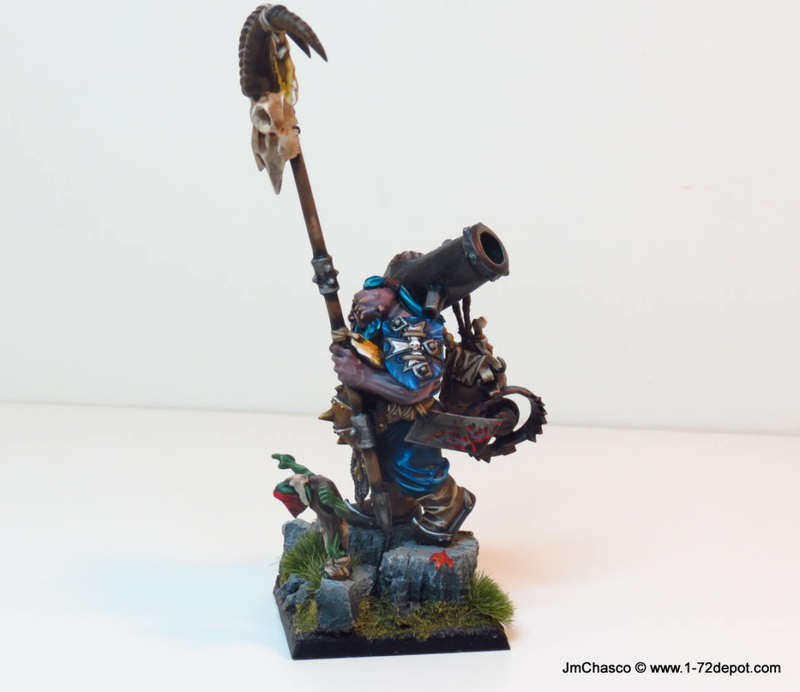 I converted the figure, changing gun’s arm position, with some green stuff, cut here, cut there..
Base is made with cork fragments. 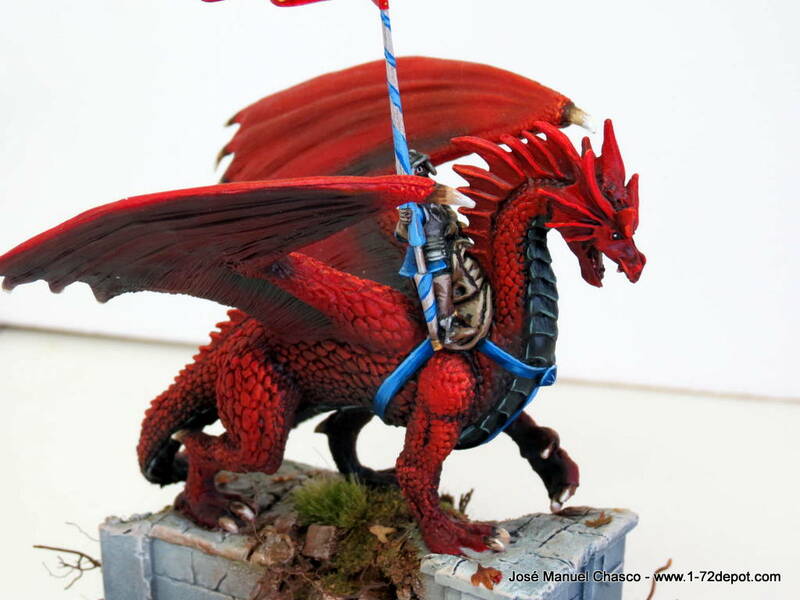 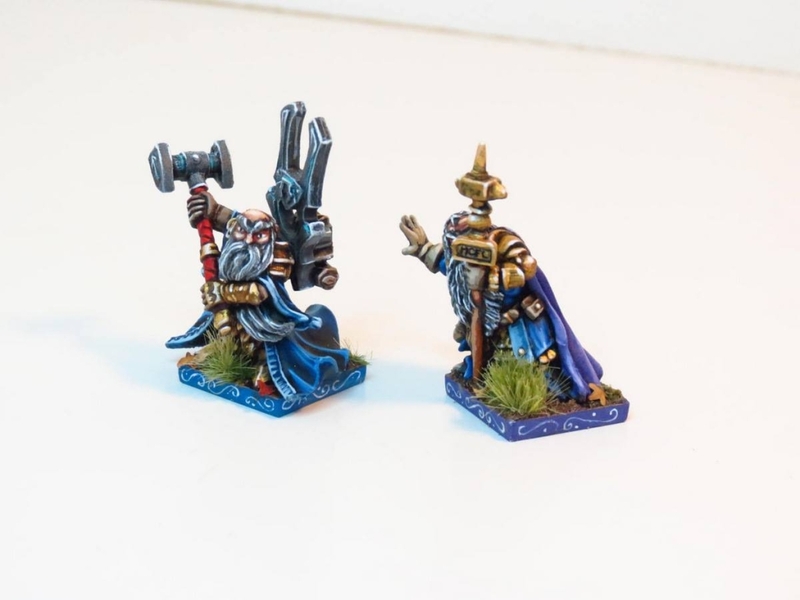 Some work is done with airbrush, as i’m trying to practice, a mixed technique airbrush/brush. 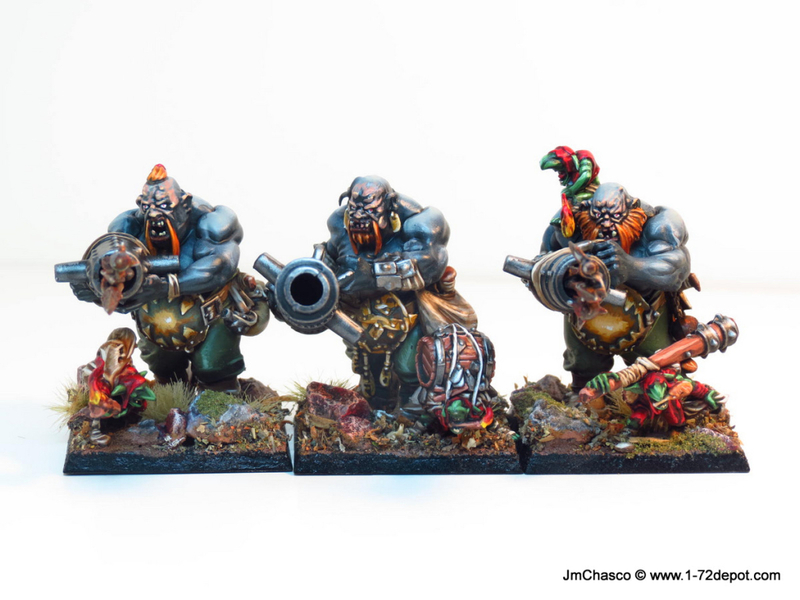 Although i don’t dislike the result i prefer the skin tone used in the Boomers. 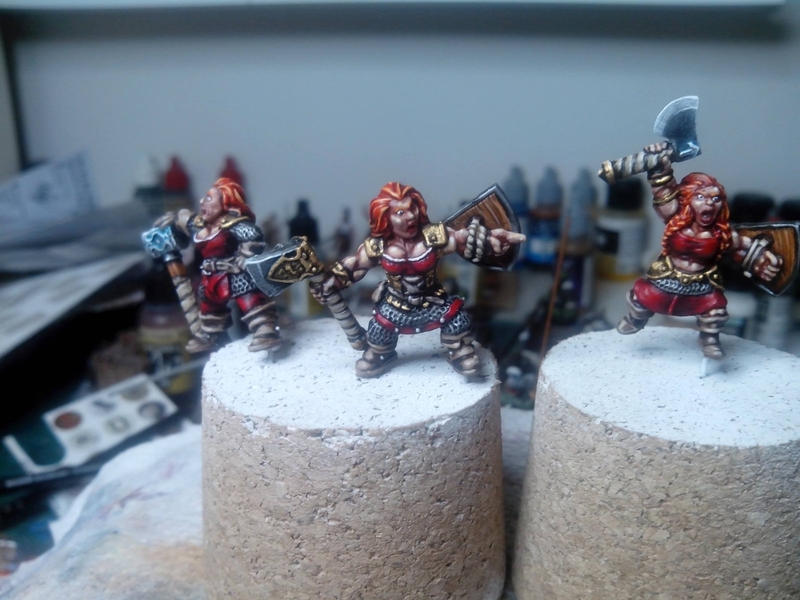 Anyway was interesting to try a different skin tone. 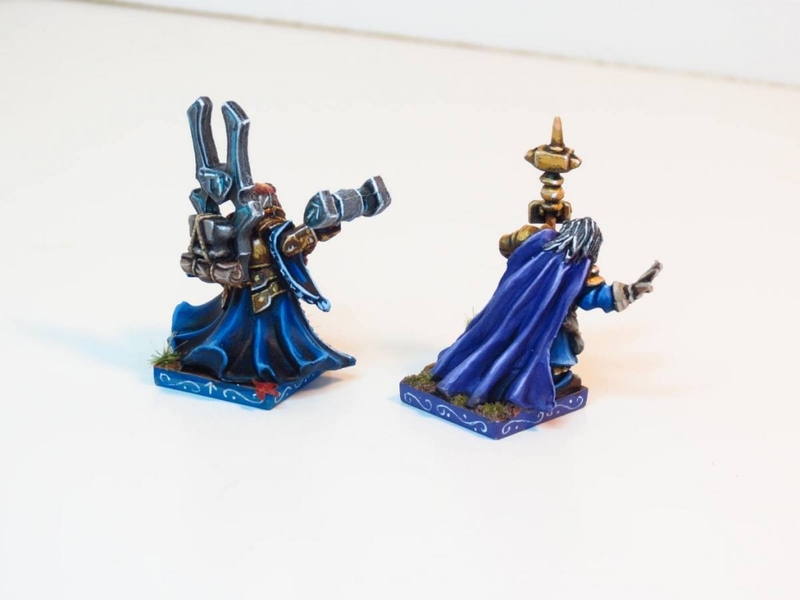 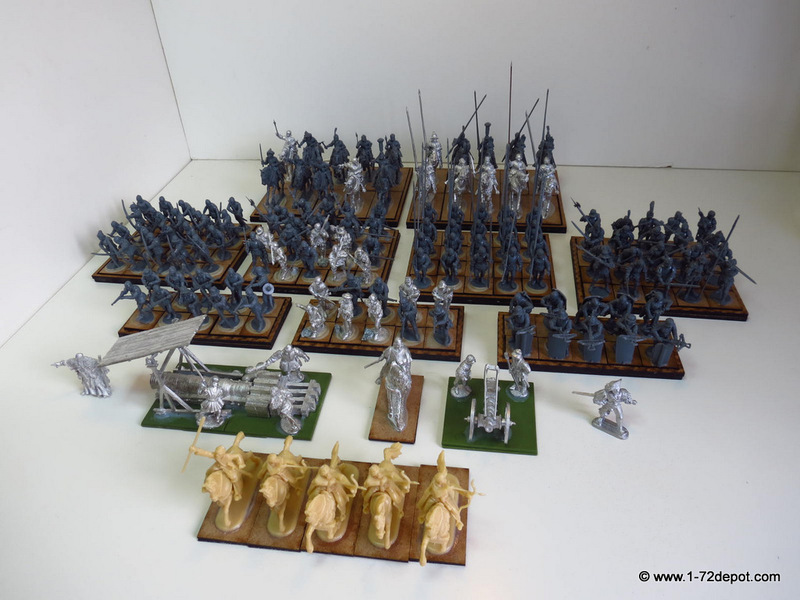 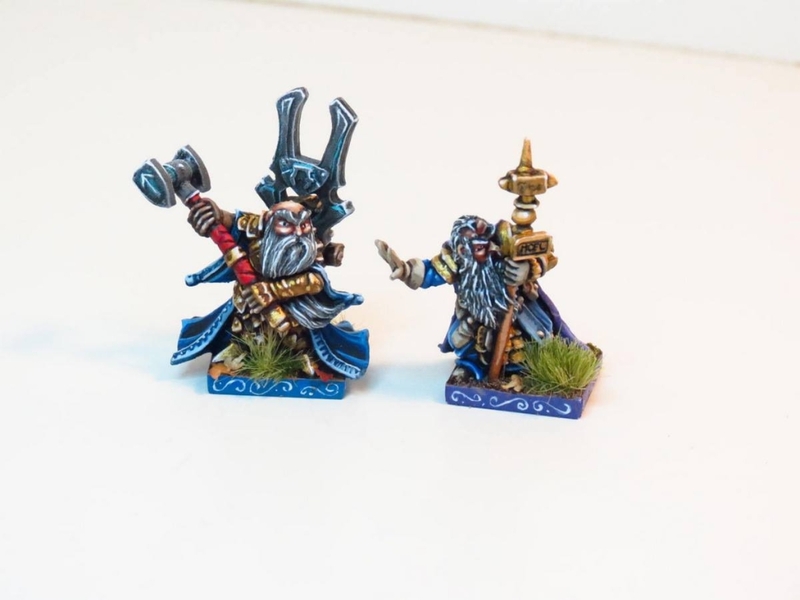 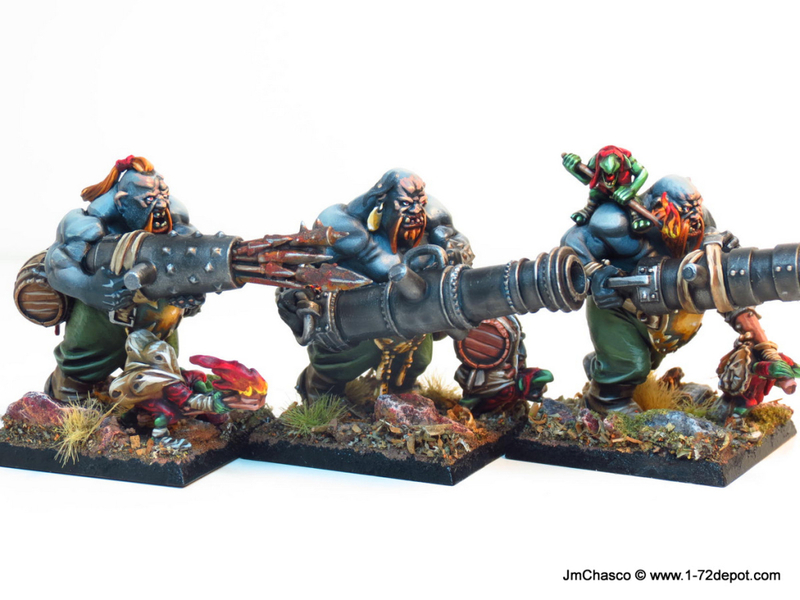 I purchased these guys to reinforce my Kings of War human army, but in the forthcoming V.2 i can only carry them as allies, it haves his benefits, although this concrete unit, Boomers, is beings restructured and they will not be so brutes as they were. 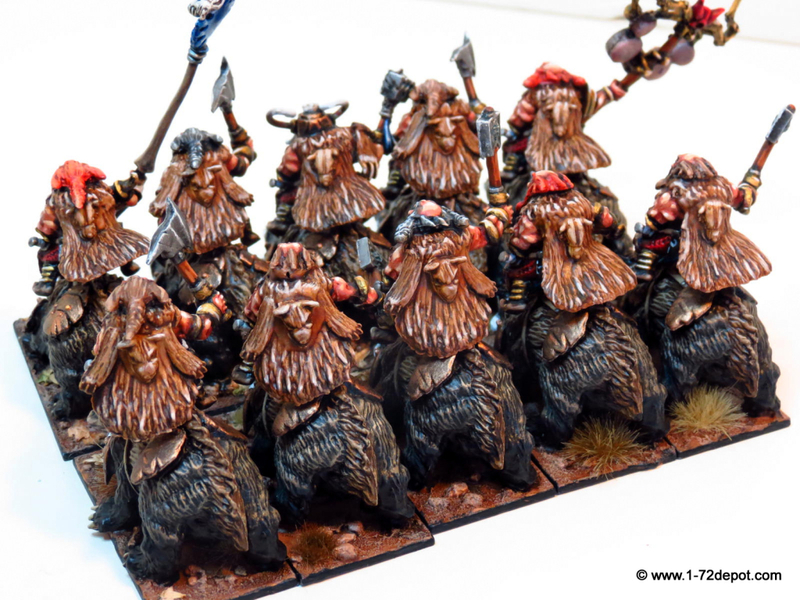 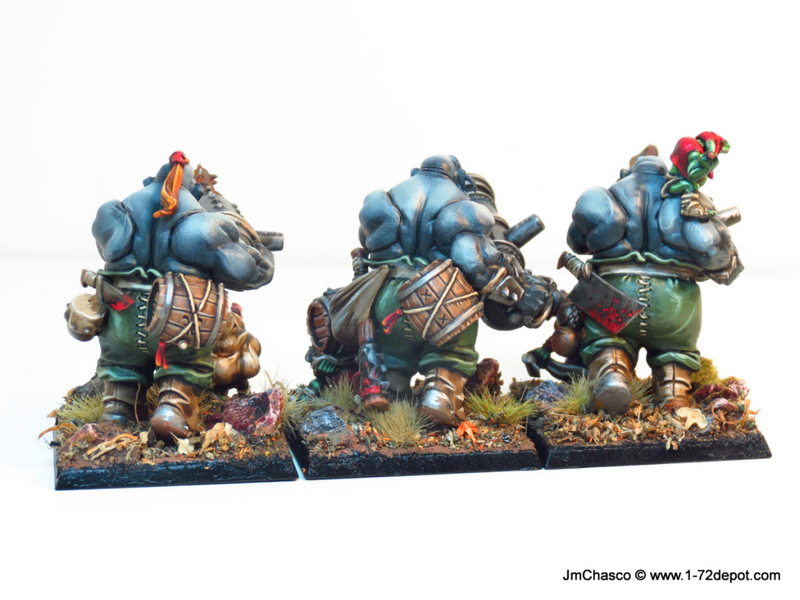 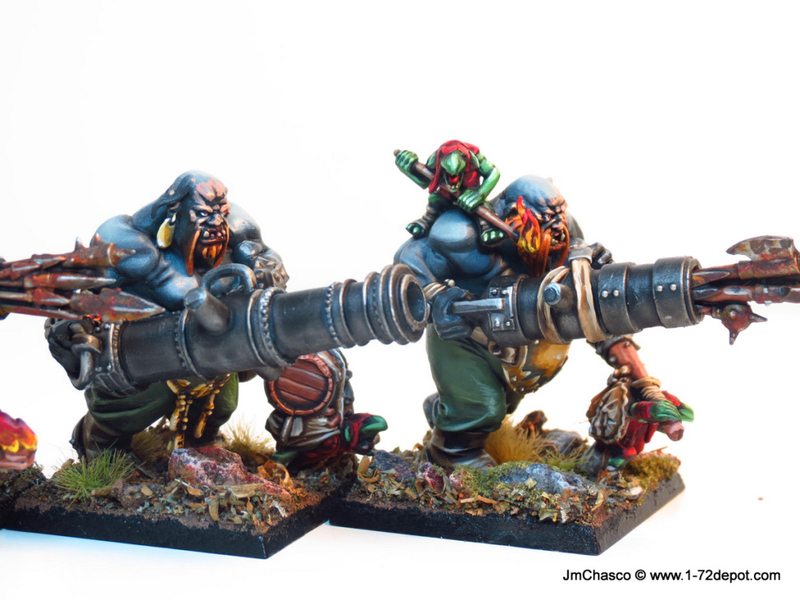 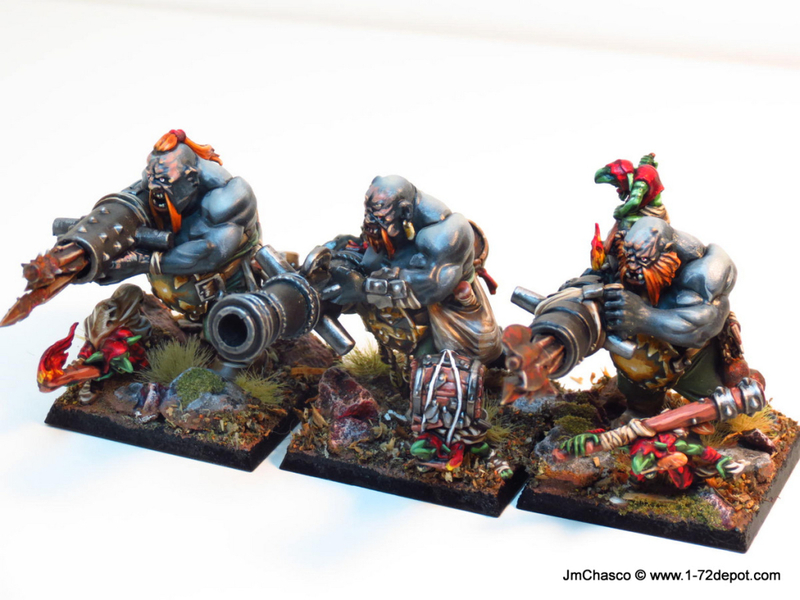 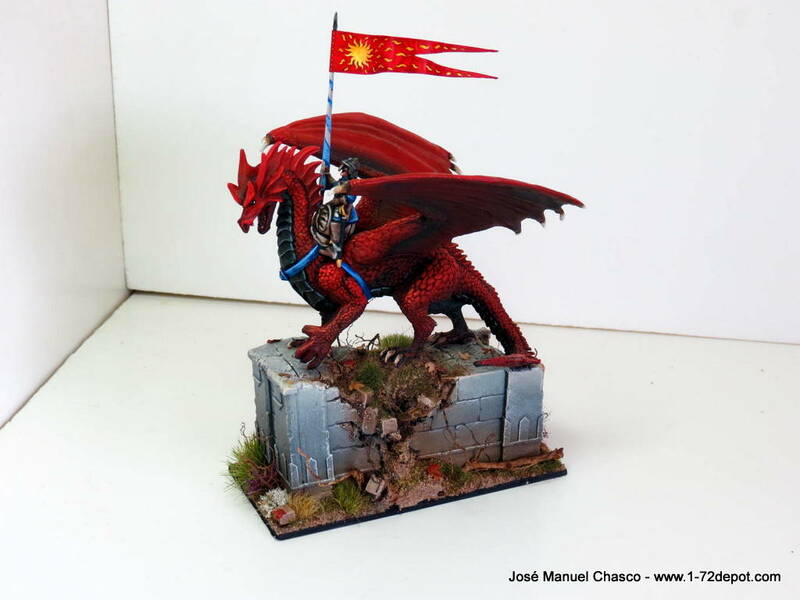 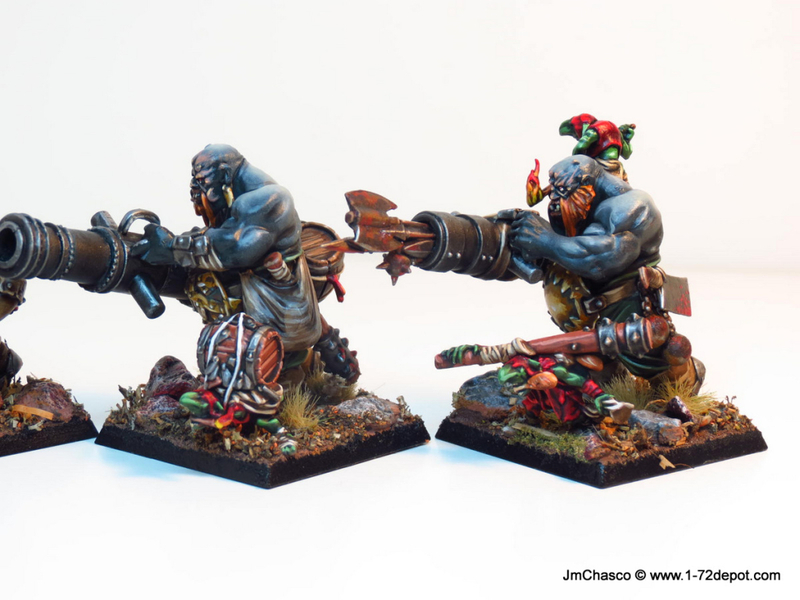 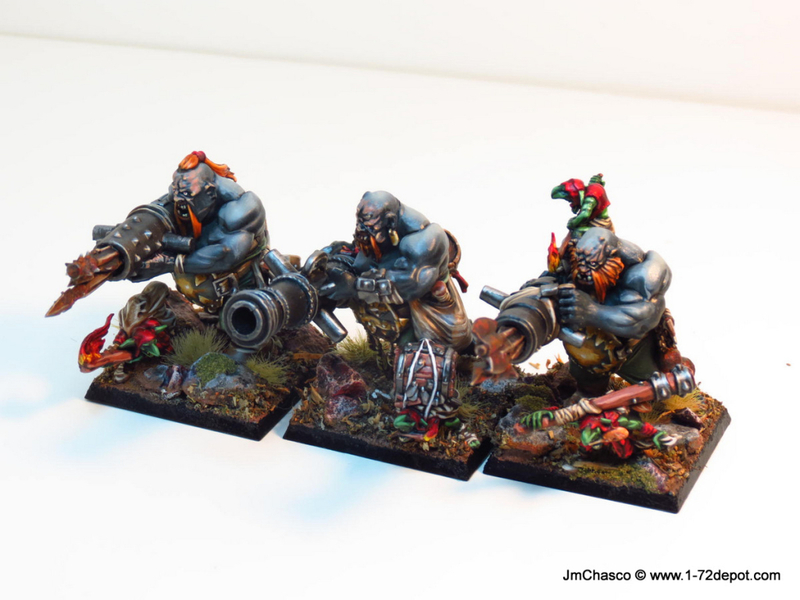 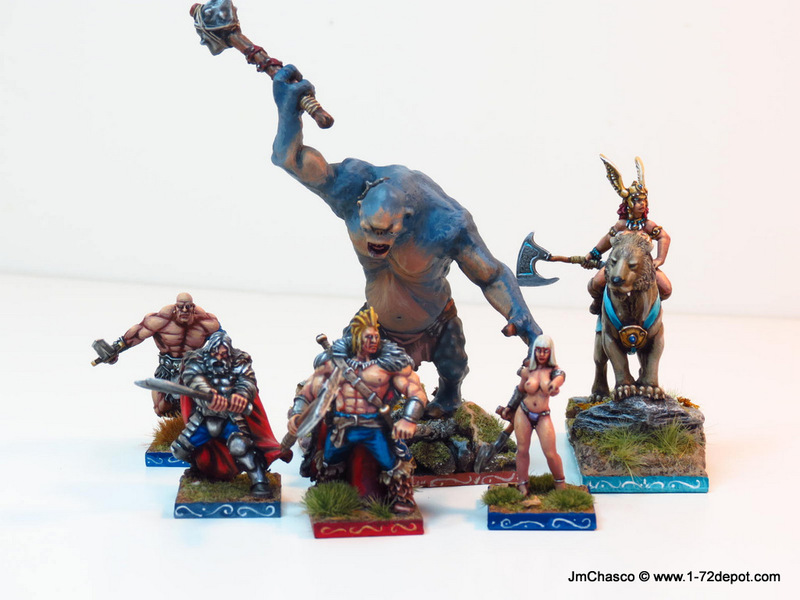 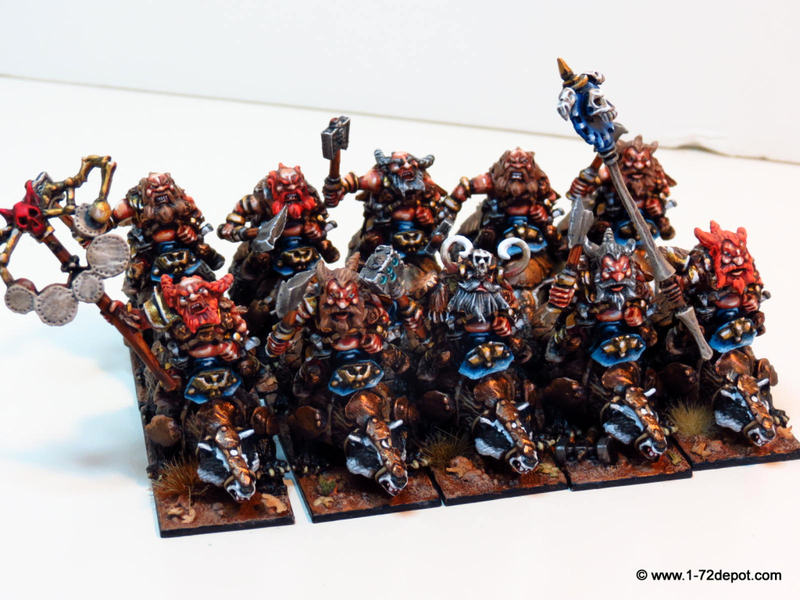 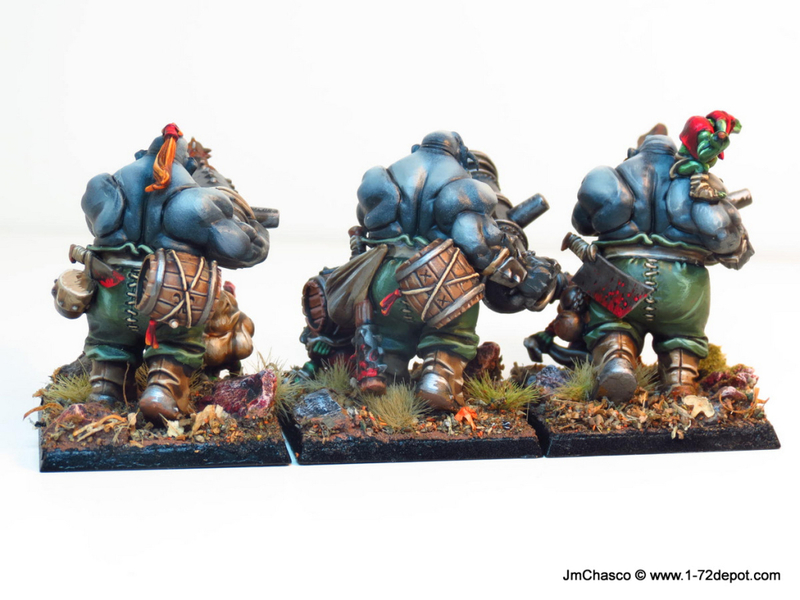 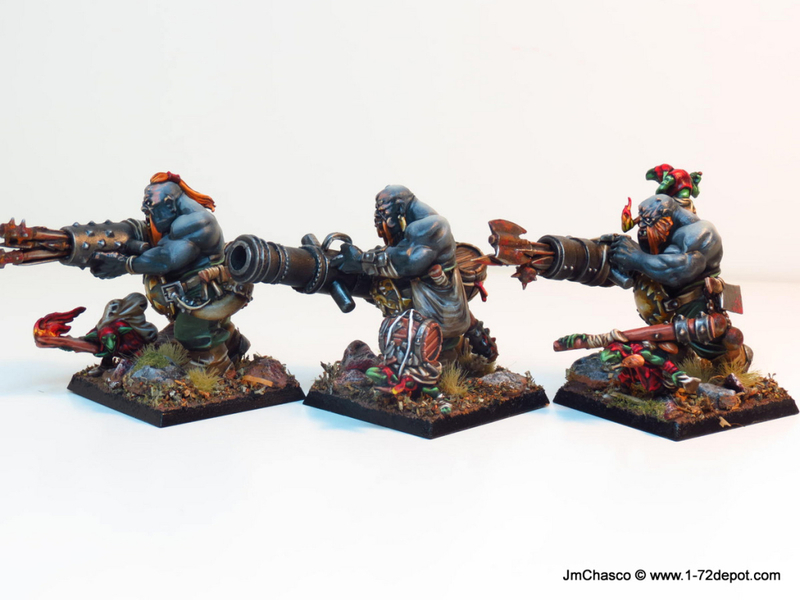 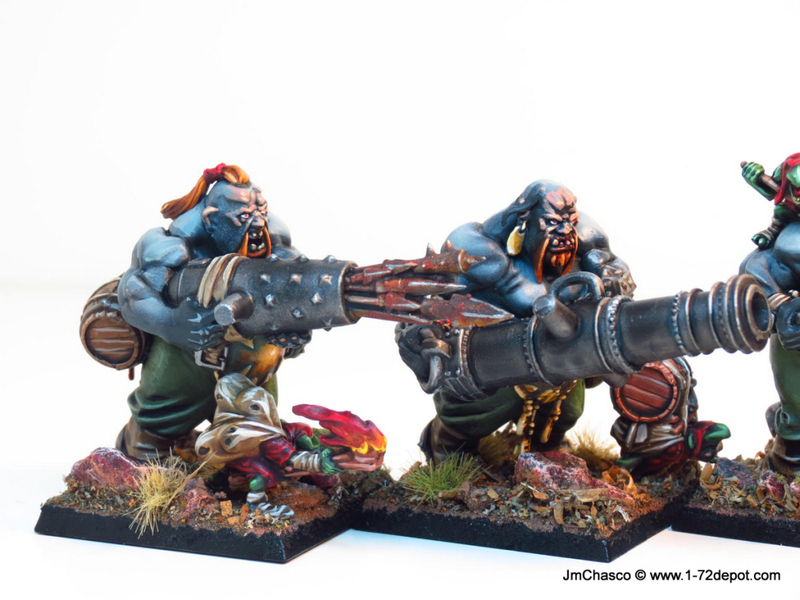 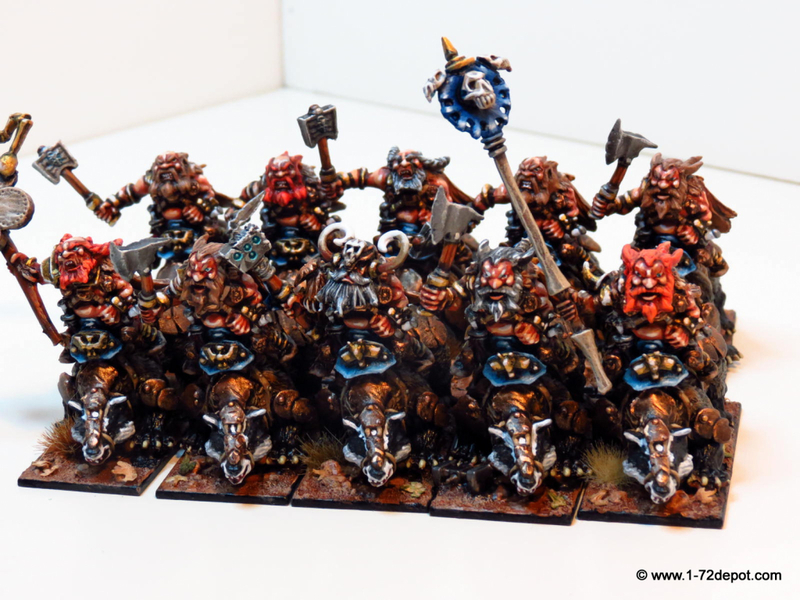 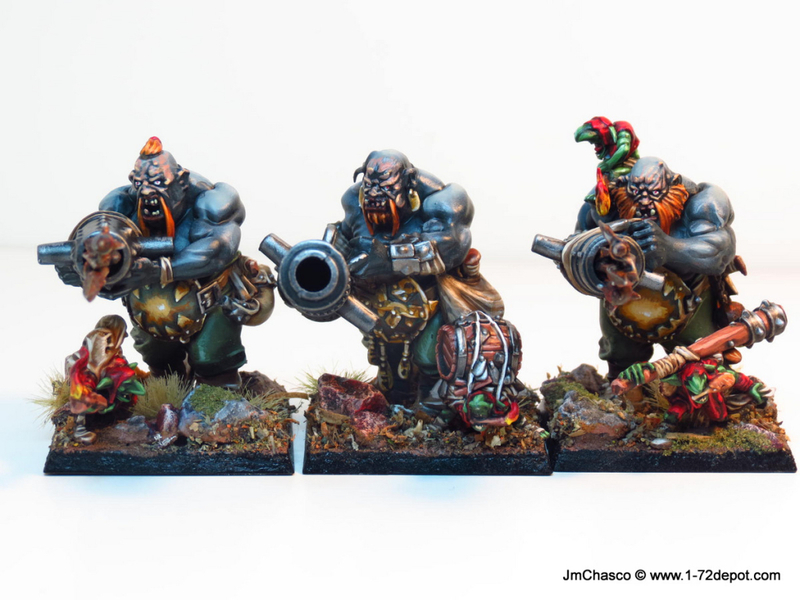 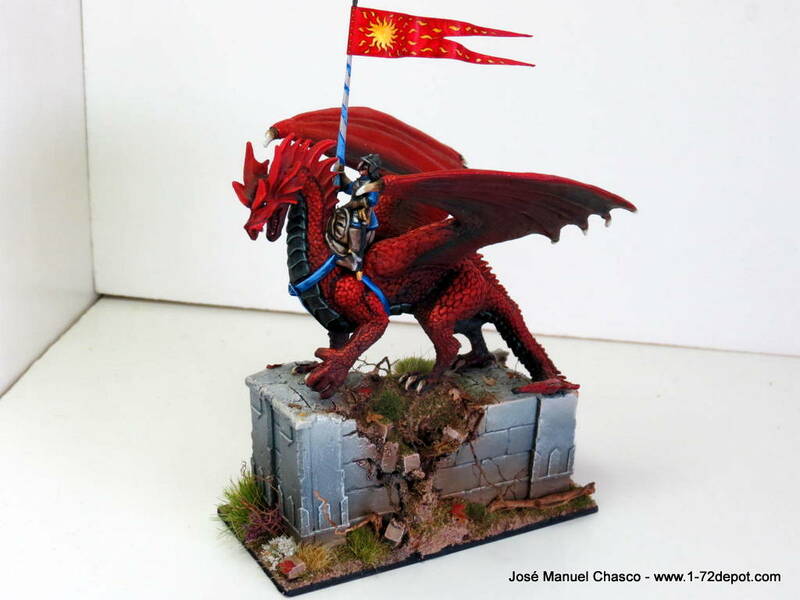 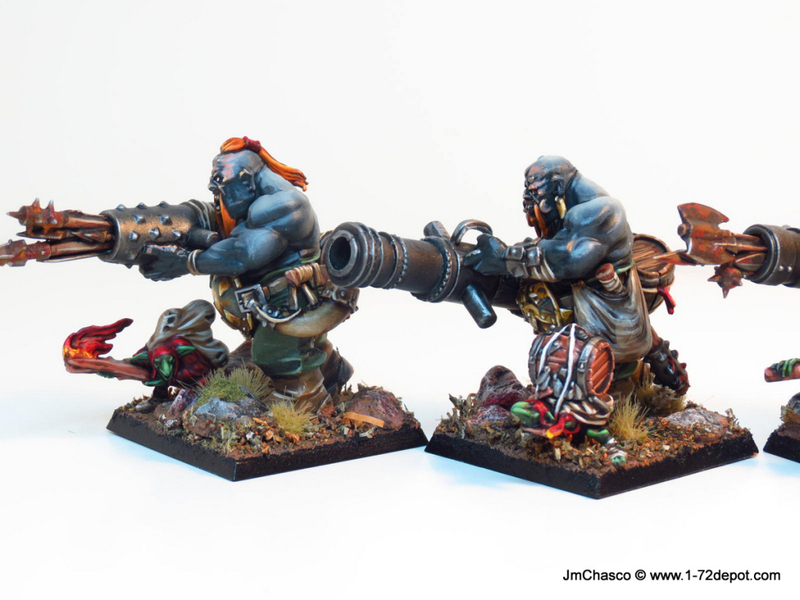 Anyway i enjoyed a lot painting these, i used airbrush for the ogre’s skin, applying base coat and two highlights. 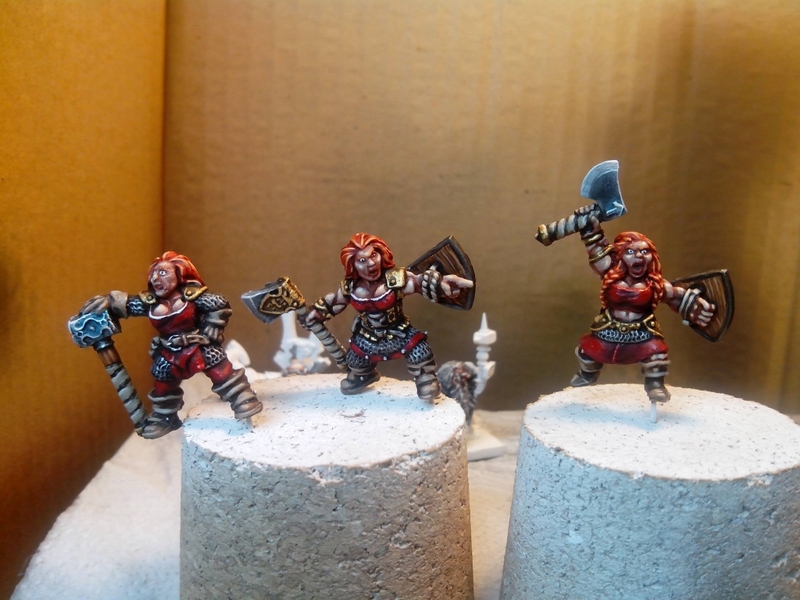 I need to improve such technique a lot, but i like result, it’s the first time. 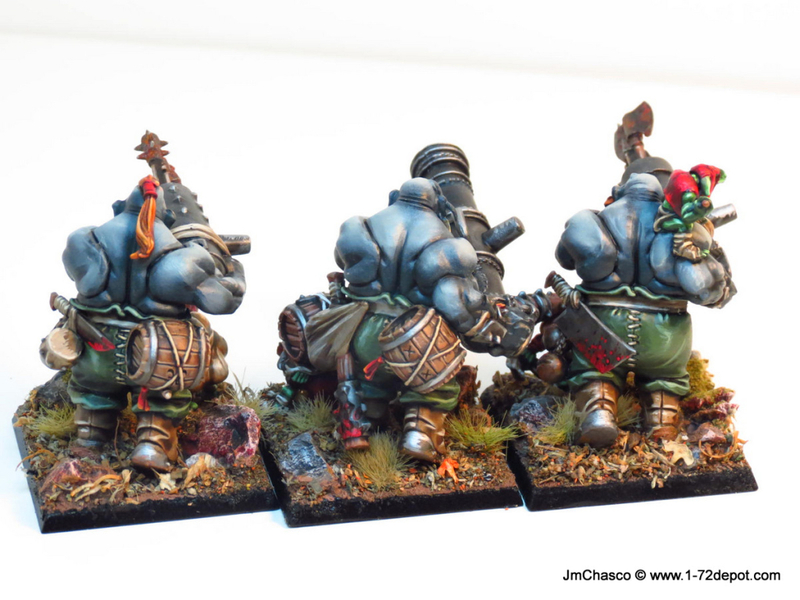 Anyway i don’t feel confidence enough to apply it on nothing smaller than these ogres.. so. 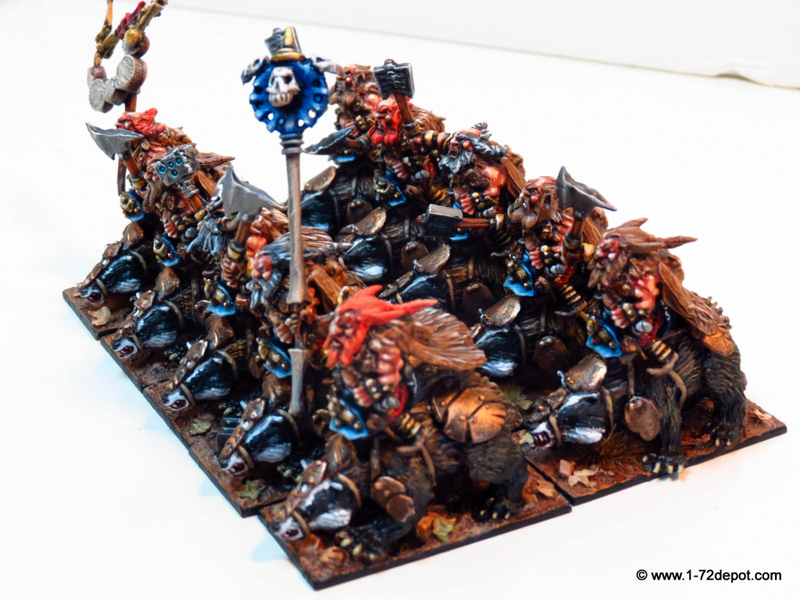 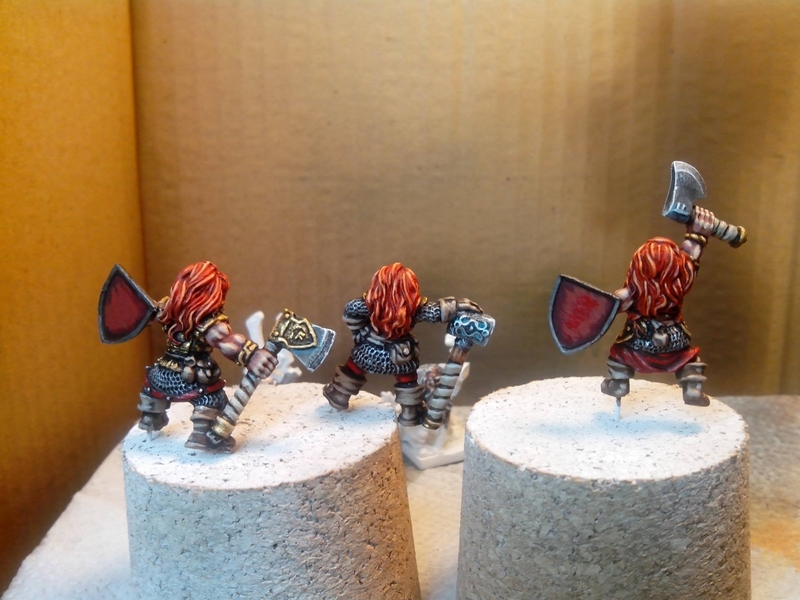 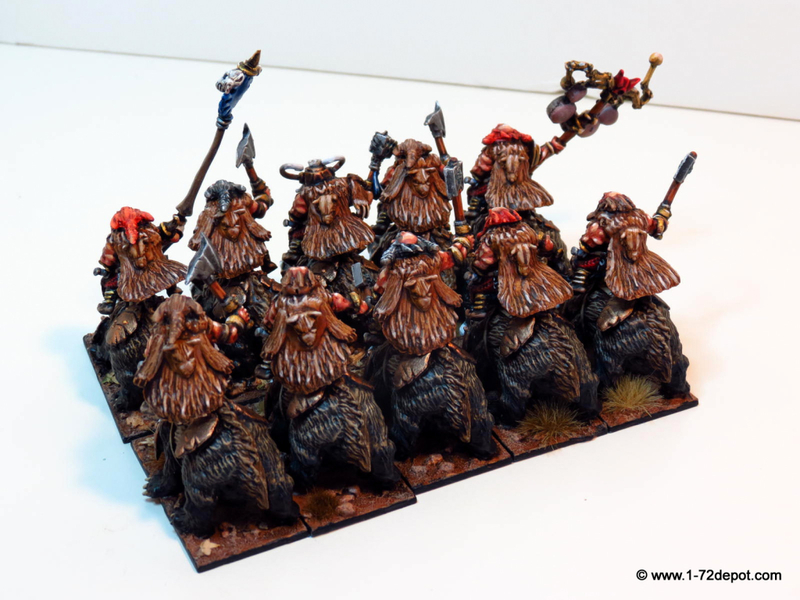 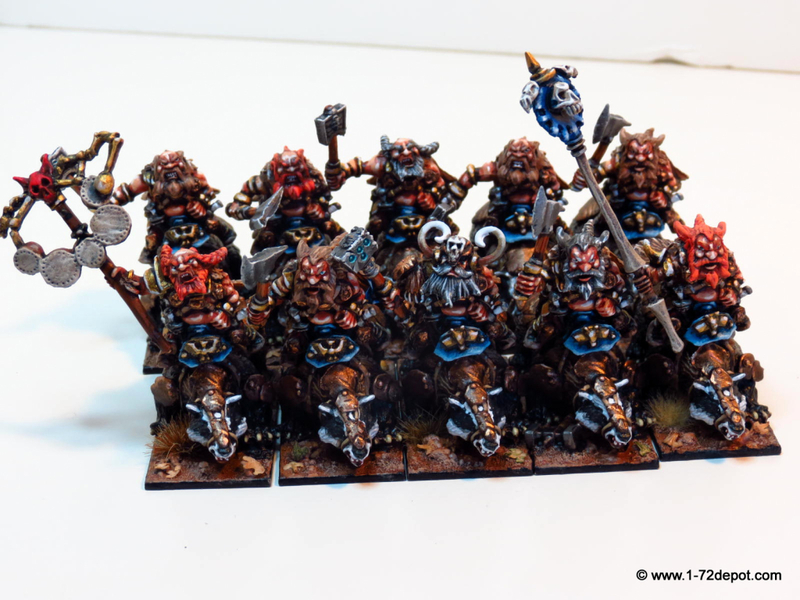 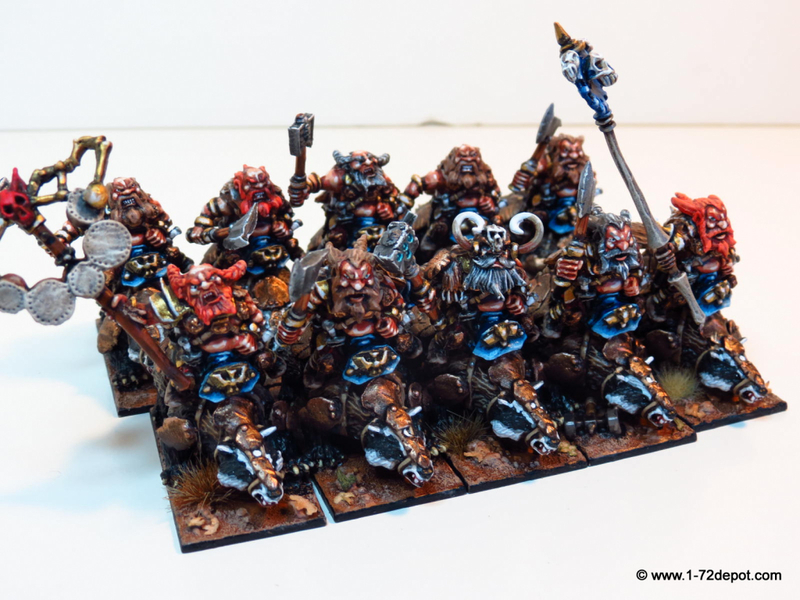 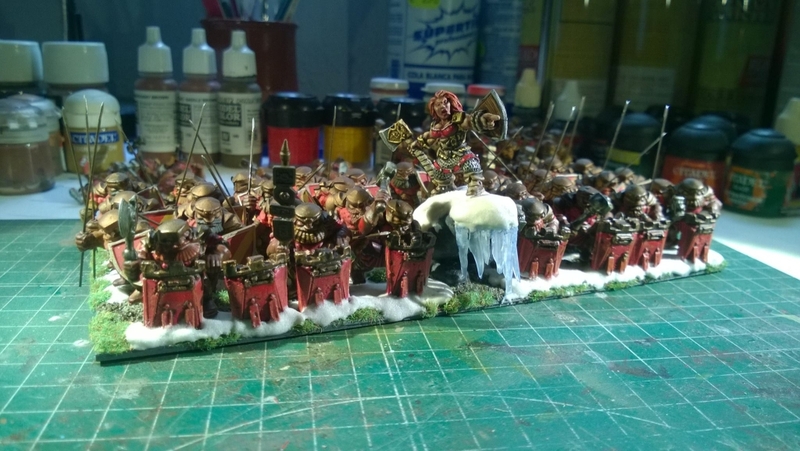 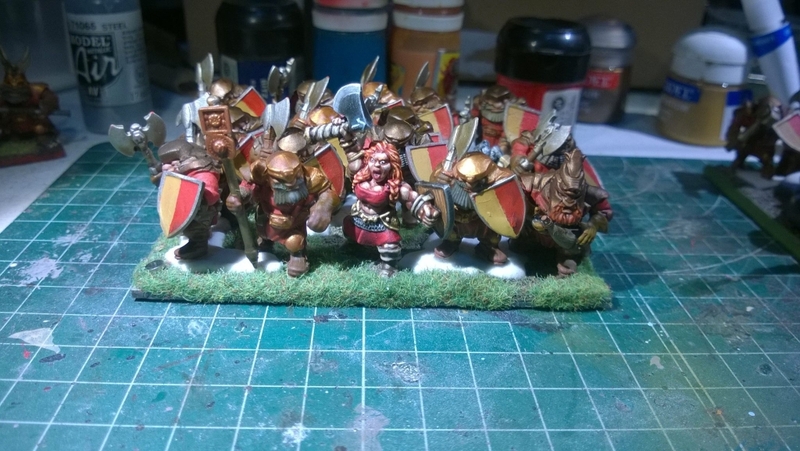 These are my first Ogres ever, but also my first Goblins, Red Goblins, as they should be because they are Ogre’s slaves… that say KoW rules.